Sixteen-time Grand Slam champion Nadal, while holidaying in the Bahamas, turned up at the Albany Golf Course to watch Woods in action. A legend watched another legend get back to play as tennis star Rafael Nadal saw Tiger Woods tee off on the final day of the Hero World Challenge. Sixteen-time Grand Slam champion Nadal, while holidaying in the Bahamas, turned up at the Albany Golf Course to watch Woods in action and tracked the tournament host's performance throughout the 18 holes. A fit again Woods, playing his first competitive event since the Dubai Desert Classic in February, finished Tied-9th in a highly competitive 18-man field. 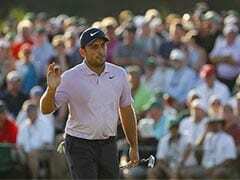 He could have fared better if it was not for a forgettable outing in the third round where he made five bogeys in windy conditions. "Tiger's return is great for golf. 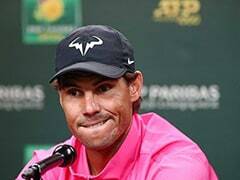 I hopes he does well in his comeback," said Nadal. The former world number one and holder of 14-major titles was wayward only in the third round, having scored a three- under 69 and four-under 68 on the remaining days. 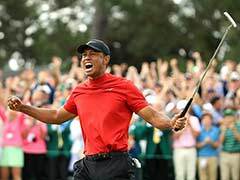 He hit a sensational eagle in round two and did an encore in the fourth round, raising his fans' expectations that the Tiger of old was finally back. The Hero World Challenge was won by Rickie Fowler, who fired seven birdies in a row on the final day to leave behind overnight leader Charley Hoffman by four shots.